I am too excited about this product spotlight because it’s part of the Frank Body line. I have been obsessed with Frank Body forever! Not only is their line freakin cute, and insta-worthy, but it totally works too! All of Frank Body’s products are designed to get rid of those pesty little impurities. If you are unfamiliar with Frank Body’s products here is a little recap… Frank Body is a coffee-based skincare line: always caffeinated, naturally derived; and 100% Australian owned and made. Just how coffee wakes you up from the inside, it wakes you up on the outside too. That’s why it’s in all their products. You might have heard about #thefrankeffect, or maybe you’ve seen a cheeky photo or two of some stuff that looks a lot like dirt? 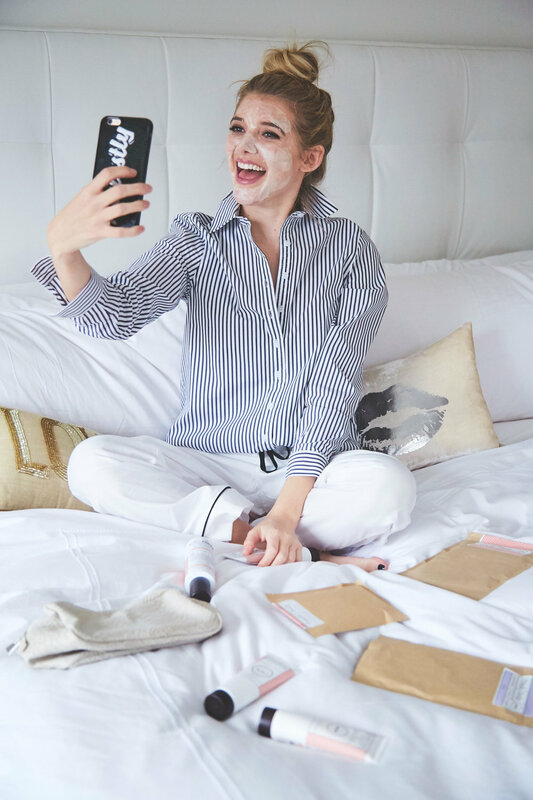 Those are the coffee scrubs that I LOVE; however, I am here today to talk about the new Frank Body product… The Glow Mask!! When I heard the Glow Mask was packed with mind-blowing berry goodness to give you bright, bouncy skin I knew I had to try it. It’s 5 minutes of intense moisture that really satisfies. So you can glow and go. When I finally got my hands on it, I was not disappointed. I applied the Glam Glow mask before bed and woke up feeling soft as a baby!! What could be better?! I am a total mask freak and I have to say this one was beyond perfect for my combination skin! For more on the product visit their website here!